DeLuca ink. is proud to offer The Black Leopard Fountain Pen. This was put together to fill the need of a chic sophisticated pen. 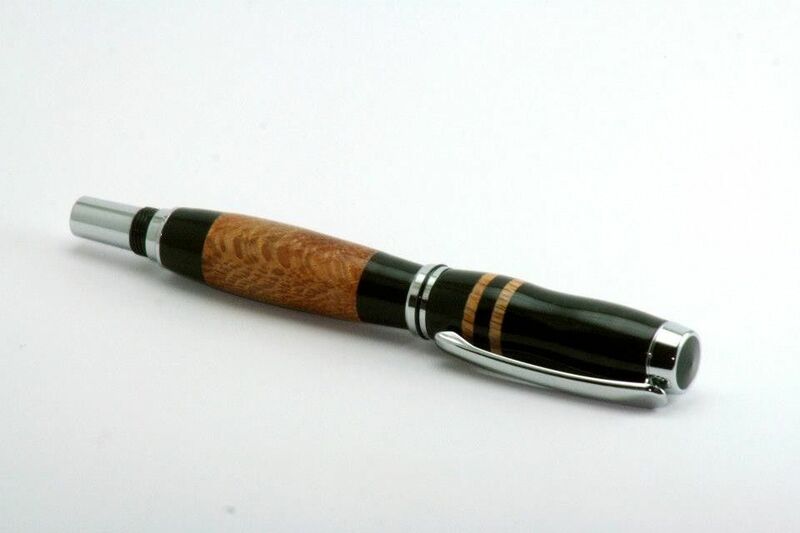 The Black Leopard features a combination of Alternative Ebony, and Leopardwood. Leopardwood itself is a medium to dark reddish brown, with light brown rays that resemble the spots of a Leopard. The Cap here is made from Alternative Ebony. 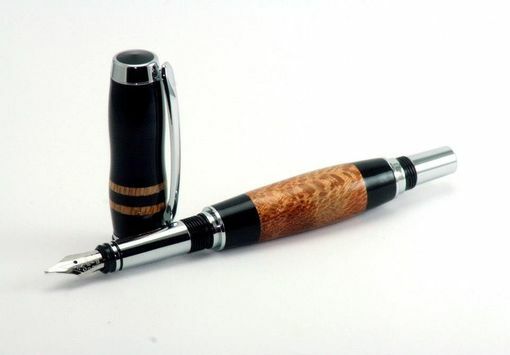 The Cap features two bands of matching leopardwood, a black center band, and matching black finial. The Black Leopard sports Chrome Plated Components, and a tuned polished fountain pen nib. Comes complete with two black private reserve ink cartridges, and matching chrome vacuum converter for use with your own favorite ink. Length: Capped 5", Posted 6.25"